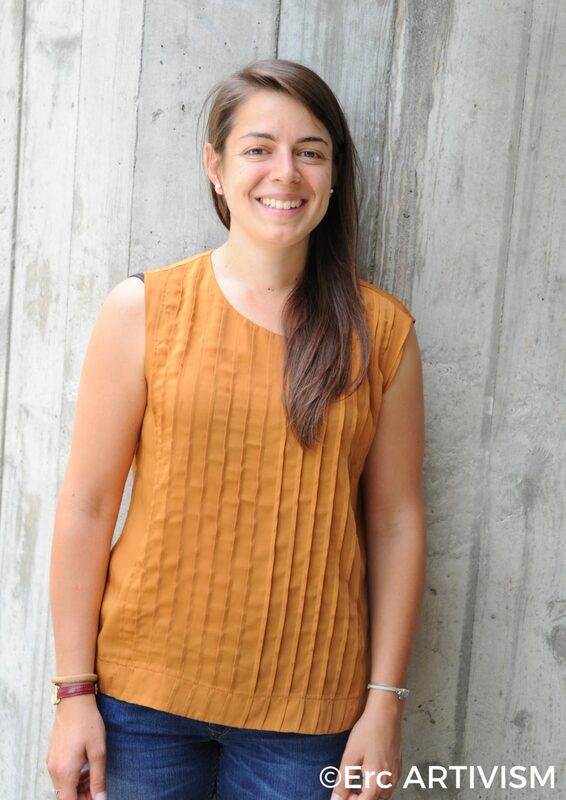 Federica is a PhD candidate in Anthropology at the University of Lausanne (Switzerland). She is involved in the ERC-ARTIVISM project since December 2016. She holds a B.A. in Cross-cultural Communication with a specialization in Sociology of Migrations from the Università degli Studi di Torino (IT), as well as a M.Sc. in Social and Cultural Anthropology with a specialization in Migrations, Minorities and Multiculturalism from the Katholieke Universiteit Leuven (BE). During her B.A., she was an exchange student at the Universität Bremen (DE) in the framework of the Erasmus project. As an undergraduate, Federica actively participated in socio-cultural projects as member of AIESEC (Association Internationale des Etudiants en Sciences Economiques et Commerciales) and A.M.E.C.E. (Association Maison d’Enfant Pour la Culture et l’Education), where she organized cultural and sport events, and contributed in developing international exchanges. She also worked as a researcher at RAI (Italian national public broadcasting company), developing a study on the radio-television representations of the Italian emigrants in the Sixties and Seventies. Before enrolling in her PhD at the University of Lausanne, she worked at the ITAL-Uil Suisse headquarter in Bienne within the governmental-funded project “Old and New Italian Migrations”, where she provided assistance to the Italian community of the Geneva and Bern Cantons, and carried out a research on the cognitive-normative tensions driving the discourses of the Italians living in Switzerland. This research was presented at an international conference in Santiago de Compostela (ES). Federica’s academic works focus on migration-related phenomena. In her M.Sc. thesis “Broken Dreams of a Dream Country. Italy Between Wishes and Disenchantments” directed by Prof. Dr. Salazar (KU Leuven) and Dr. Elliot (University of Bristol), she explored the mobility of young Italians adopting the imaginaries’ theoretical perspective, that allowed a broader understanding of the dynamics triggering the motion of people. She presented her thesis in an international conference in Turin (IT), and part of it was published in scientific and international journals.